Reduce your cash costs by paying for them with revenue generated by incremental barter sales, allowing you to preserve working capital for other expenses and investments. Effectively, you will be able to offset some of your cash expenses by paying with Bartercard trade dollars, therefore saving you cash. 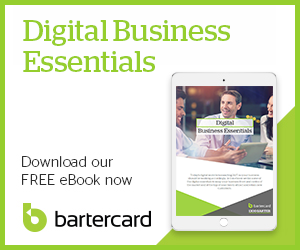 The cost to generate a Bartercard Trade Dollar is an important underlying benefit experienced by businesses worldwide. Many fixed costs of producing goods or services are covered through cash sales, meaning that the cost of generating and fulfilling a Bartercard sale is your cost of good or service sold. Therefore, when you purchase goods or services using Bartercard, although you pay the ticket or market price, you are actually paying for your purchase with your own inventory - which costs you wholesale. In effect, each time you spend a Trade Dollar, you save whatever your mark-up profit margin is! While online review sites like Yelp and social platforms like Facebook are a fast way of sharing positive (and equally negative) experiences, it’s easy to forget about the power of referrals. This simple concept costing a fraction of your expenditure can break through the clutter and quickly fast track new business. When Just Water and Aqua Cool merged, they effectively used Bartercard Trade Dollars to not only facilitate the process and bring the new team together, but to conserve cash and maximise the available budget for the project.